What makes this strata different, is it is not made with bread. The recipe calls for the strata to be cooked 13x9 inch dish but would like to try it individual ramekins. Butter a 13x9x2 inch glass baking dish. Saute sausage in medium non stick skillet over medium heat until brown and cooked through, breaking up into small pieces, about 10 minutes. Add shallots and garlic and saute 3 minutes. Add sun-dried tomatoes and 2 Tablespoons parsley, stir 1 minute. 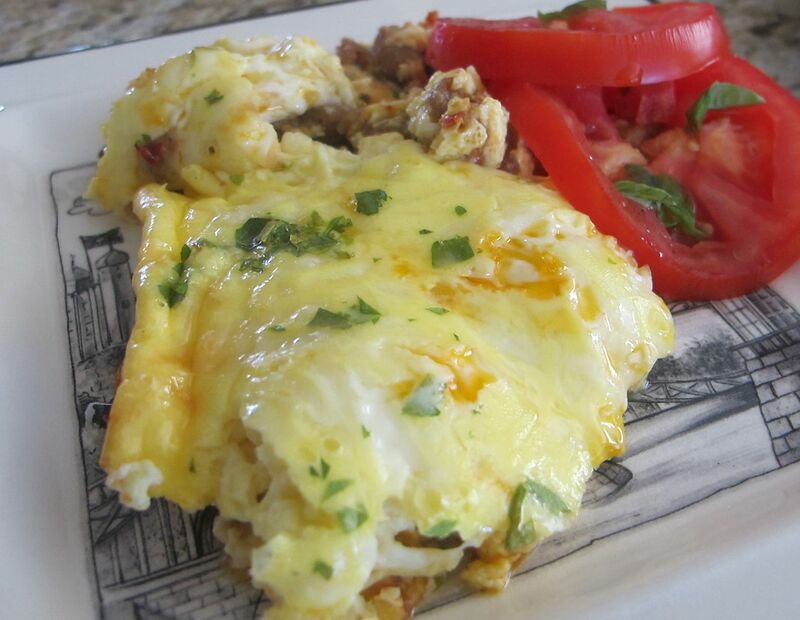 Whisk eggs, egg yolks, half and half, whipping cream, 1 1/2 cups cheese, and salt in a large bowl to blend well. Sprinkle remaining 1/2 cup cheese and 2 Tablespoons parsley over top. Bake until top of casserole is golden brown and knife inserted into center comes out clean, about 30 minutes. I was looking for a first course to a dinner but this turned out to be lunch, best eaten with a knife and fork. The Bake thinks it is better with the reduced balsamic on the side. Slice polenta into 1 inch slices, brush with olive oil and bake about 10 minutes, turning at halfway time. Alternately, these could be grilled. 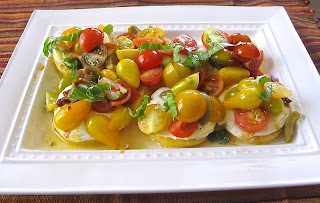 Slice mozzarella into 6 rounds. In a bowl, combine baby tomatoes, sun dried tomatoes, olive oil and salt and pepper and olives (if using). Put heated polenta rounds on a plate and top each with a slice of fresh mozzarella. Spoon the tomato mixture over top of each round. Top with pine nuts and basil. Lay the shaved Parmesan over top. 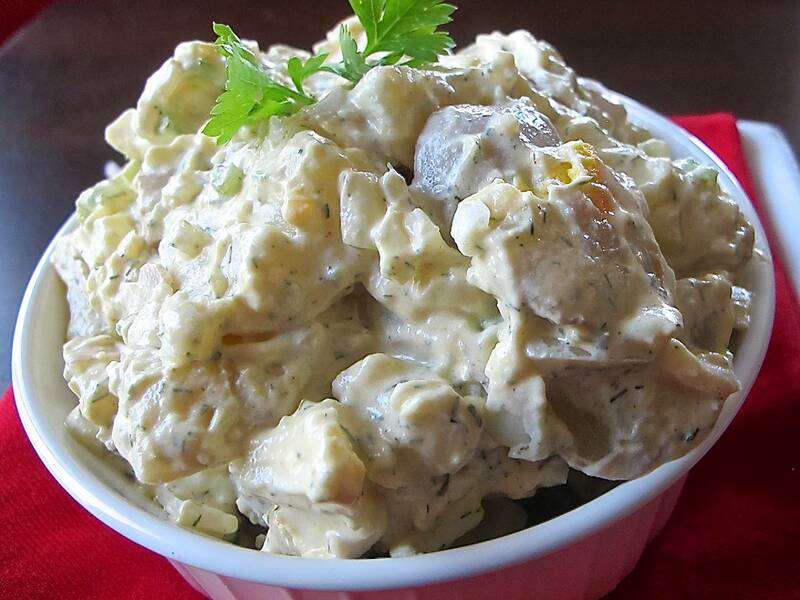 There are so many options when making potato salad, serving it warm or cold, with pickles and bacon or not. Here is the one we are making today. Bring a large pot of salted water to a boil. Add potatoes and cook until soft but not mushy. Drain and set aside to cool. In a large bowl, mix together mayo, sour cream, mustard's, celery salt, onion, and celery stalk. Lightly chop potatoes and add to bowl. Add chopped eggs and salt and pepper to combine. Memorial Day weekend is kind of the unofficial kick off to summer. It is the time to bring out the barbecues and plan picnics and outings. It is the eagerly anticipated opening of many community pools and in our town it means the local Ski to Sea race. But please take a moment to remember the true meaning of Memorial Day. It is time to honor and reflect on the over 1 million service men and woman who have given their lives for our freedom, our very existence. So during the festivities of this holiday weekend, take a moment to raise a glass and toast them and thank them for their ultimate sacrifice. To our fallen heroes, who have made it possible to enjoy the freedoms that we cherish. This classic restaurant dish can be prepared in minutes. 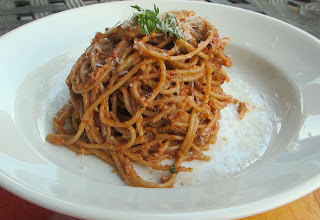 To make this gluten-free, I used an organic brown rice spaghetti pasta instead of the angel hair. Meanwhile, heat oil in a large skillet over medium high heat until hot but not smoking. Add shrimp and saute, turning once, until cooked through, about 2 minutes. Remove shrimp with a slotted spoon to a large bowl. Add garlic to oil remaining in skillet along with red pepper flakes, wine, salt and pepper and cook stirring for a minute. Add butter to skillet, stirring until melted and stir in shrimp. Remove from heat. Cook pasta in boiling water until just tender, about 3 minutes. Reserve 1 cup of pasta water, then drain pasta in a colander. 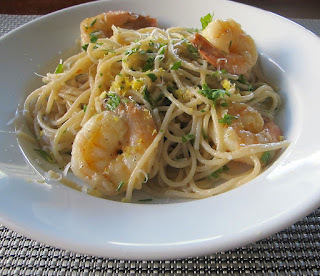 Toss pasta well with shrimp mixture and parsley in bowl, adding reserved cooking water, if needed to keep moist. A light dusting of Parmesan, if desired. If you pat the roasted beets dry, the goat cheese will stay whiter for a red and white contrast. To roast the beets, wash them, rub with olive oil and roast on a baking sheet for about an hour in a 400F. oven or until beets are softened throughout. Cool and wash to remove skins. I happened to pick up already prepared beets from Trader Joe's. The amounts used will depend on the size of the beets. Slice the beets 1/4 inch thick. Spread the goat cheese over each slice, put the beets back together and wrap each in saran wrap. Chill in the refrigerator about 1 hour. Remove the saran wrap and cut beets in half or quarters. Combine the olive oil and reduced Balsamic vinegar. Toss with the Arugula and arrange on a platter. 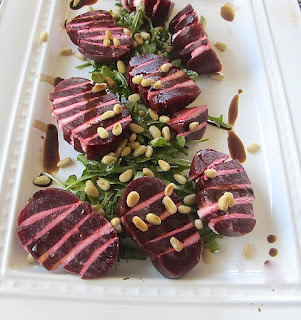 Top with slice beets. 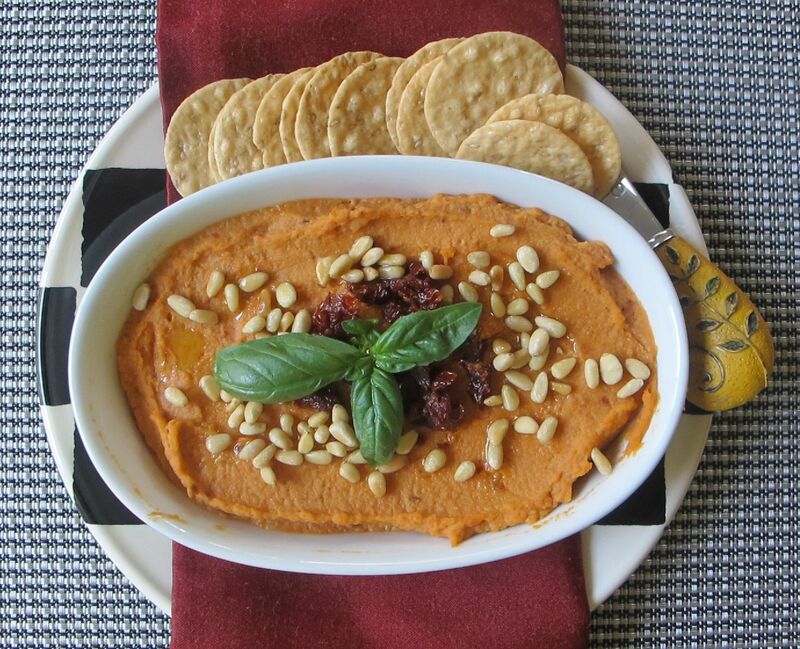 Sprinkle pine nuts over top and drizzle with more reduced Balsamic vinegar, if desired. I served this butter as a sauce over pasta, but it would be great over fish, especially Halibut. Mmm, maybe even over a chicken breast that has been stuffed with basil pesto. To thin the butter if needed, add a little of the pasta water. Mince and mash garlic to a paste with 1/4 teaspoon salt. 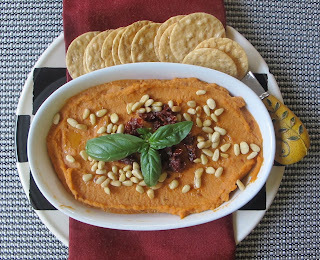 Transfer paste to a food processor and pulse with sun-dried tomatoes, walnuts, coriander, cayenne, parsley, and 1/8th teaspoon black pepper until finely chopped. Blend in butter and lemon juice, then season with salt. Set aside at room temperature until pasta is cooked. Toss the warm pasta with the butter mixture in a large bowl. I received this recipe from pure raw cafe. 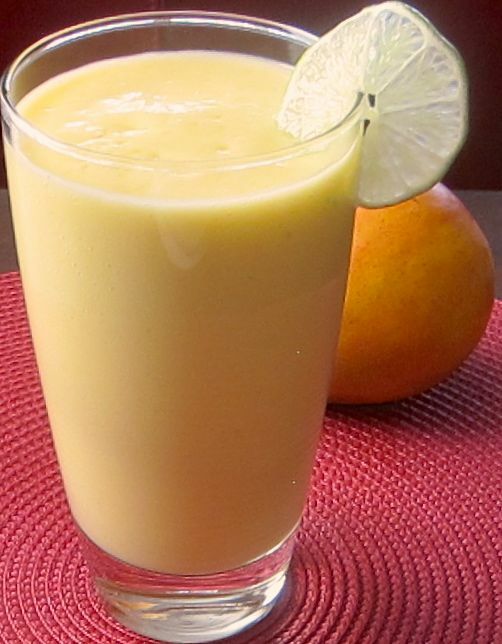 Spring seems to bring out the smoothies here! The Bake calls this the ultimate comfort food. Shepard's Pie with a green salad and dinner is complete. In a large saute pan over medium-high heat, heat the oil, then add the onion, carrot, and meat. Cook until browned, about 8-10 minutes. Drain the fat, and add the broth, tomato paste, and herbs. Simmer until the juices thicken, about 10 minutes, stir in peas. Pour the mixture into a 1 1/2 quart baking dish, set aside. Bring the potatoes to a boil in salted water. Cook until tender, about 20 minutes, drain. Mash the potatoes with the butter, milk and salt. Spread the potatoes over the meat mixture, smooth top with fork. 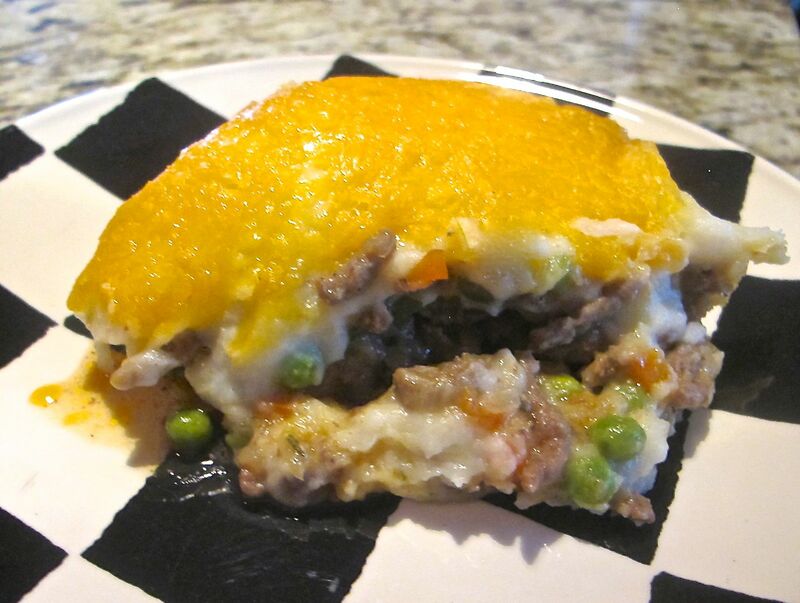 Bake 15 minutes, then top with cheese and bake an additional 15 minutes or longer until golden and bubbly on top. Rest several minutes. I put these strawberries over ice cream with a grind of black pepper on top. 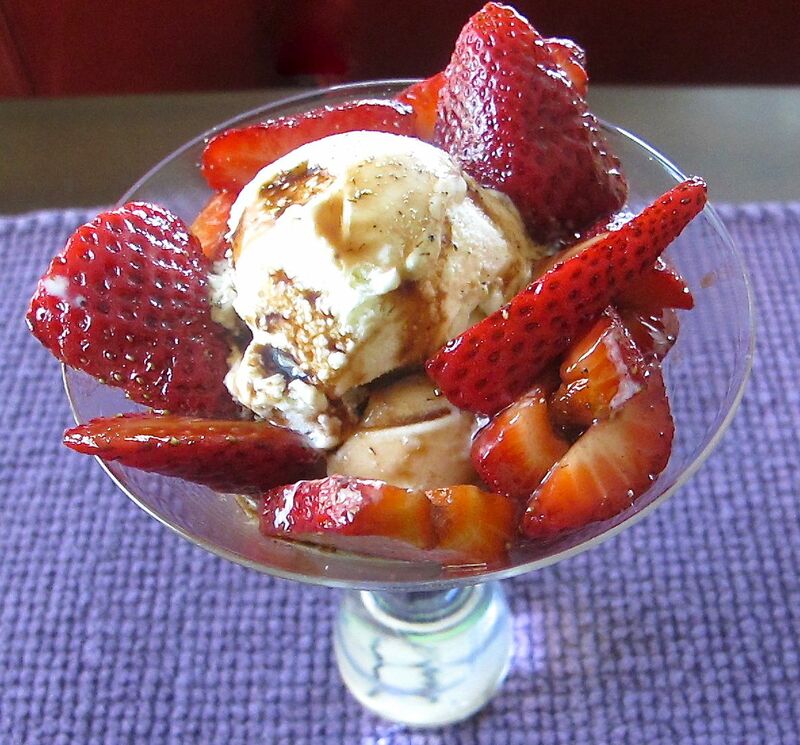 These strawberries are also good on their own, with crepes or angel food cake. Often when I serve these, the rich, dark topping is mistaken for fudge sauce, I say nothing. Slice each strawberry and put in a glass bowl. Add the vinegar, lemon juice, sugar, salt and pepper and toss well with the strawberries. Allow the berries to marinate for a few hours in the refrigerator or 30 minutes on the counter, covered and stirring often. Due to the acid in the recipe, these berries will not keep long. 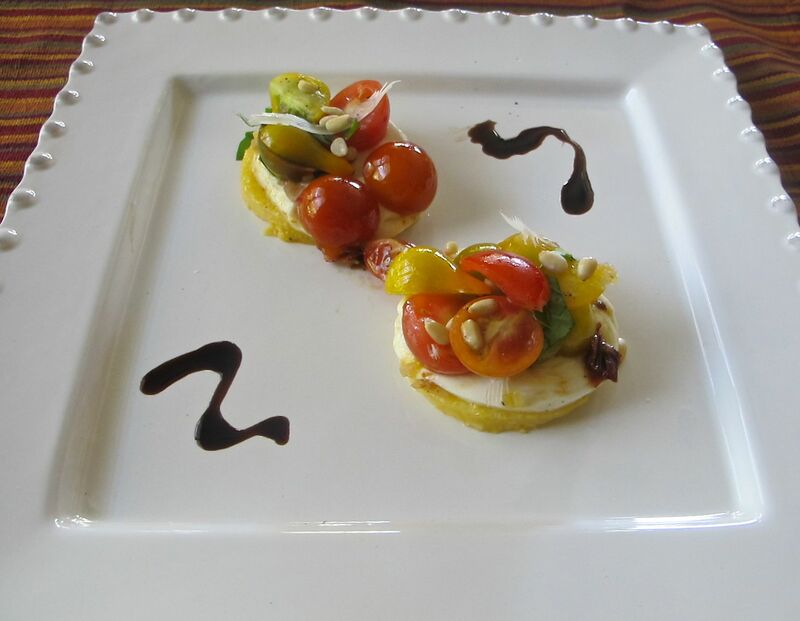 A good quality balsamic vinegar can be used instead of a reduced balsamic. I was looking for a cookie that would satisfy vegans, children and adults. I came across this from Weelicious. 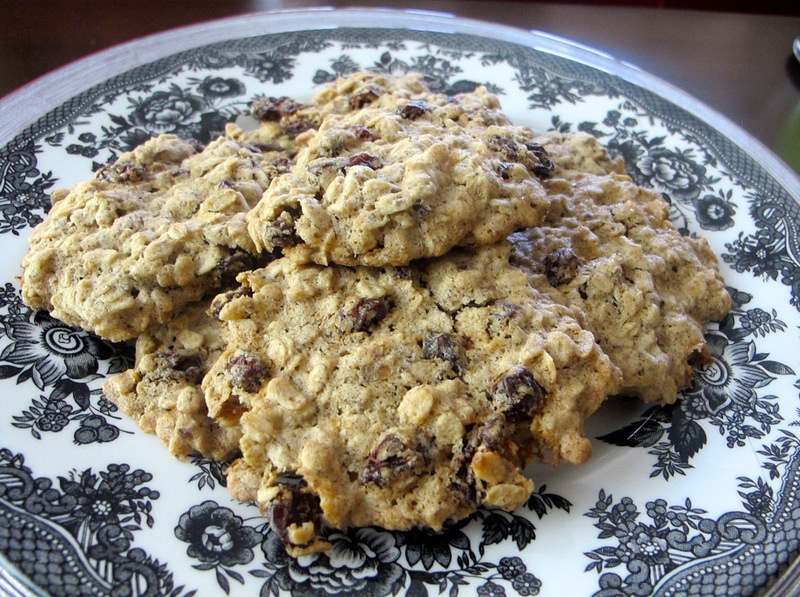 These will work for anyone who has a nut, gluten, egg or dairy allergy. In a small bowl, whisk together the flax and water. Let sit for 2 minutes. In another bowl, mix together the oats, flour, cinnamon, baking soda and salt. In a bowl, cream together the butter and sugar for about 3 minutes. Add the flax mixture and vanilla extract and stir until combined. Gradually add the flour mixture until just combined. Add the raisins and stir to thoroughly combine. Place cookie dough on parchment lined baking sheet. Bake 15-20 minutes or until golden brown. Like a lime slushy, these go down way too easily. Combine Tequila, Cointreau, and limeade to blender. Fill almost to top with crushed ice. Blend until smooth and slushy. Line rim of glasses with a wedge of lime and dip into a plate of Kosher salt. 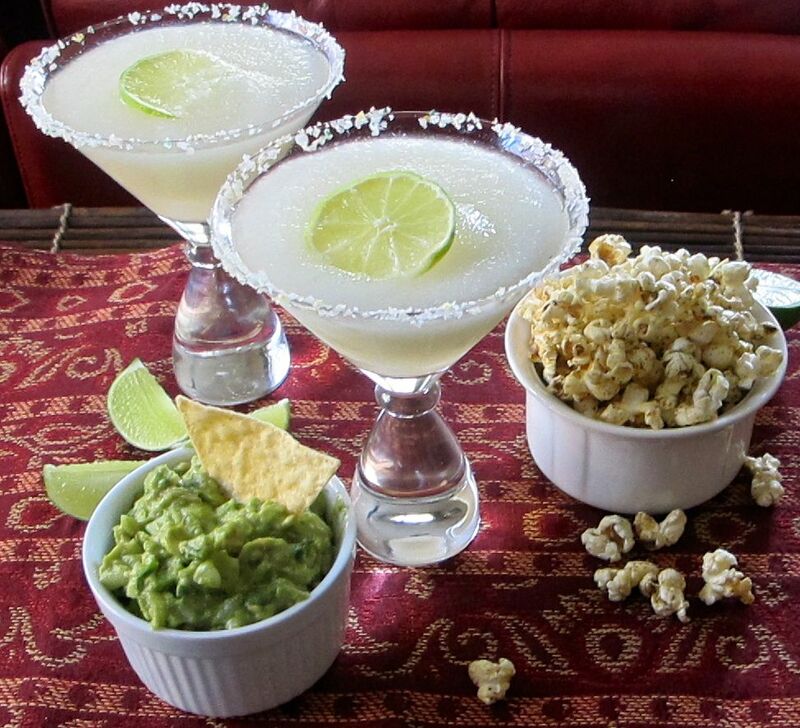 Pour blended drink into prepared glasses and garnish with lime slices. Served along side chili lime popcorn and guacamole. 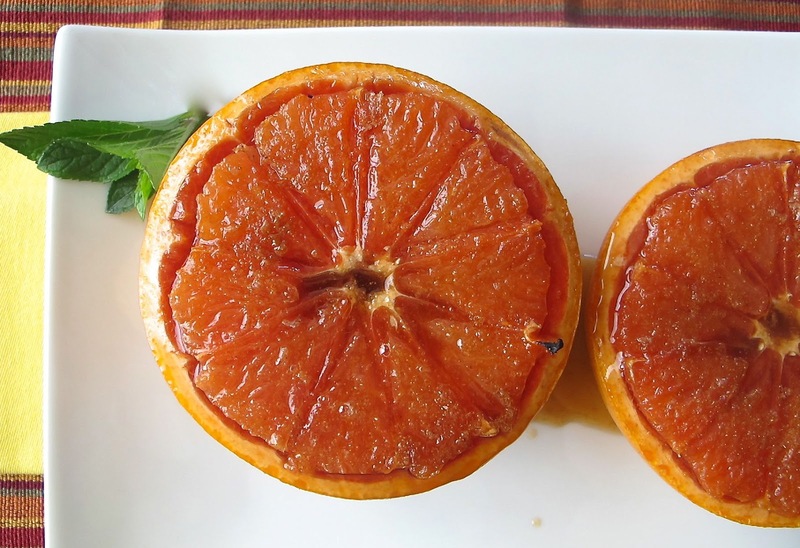 Adding a little zip of ginger changes up typical broiled grapefruit. For another layer of flavor top broiled grapefruit with fresh basil before serving. In a small bowl combine sugar and ginger. Place grapefruit on a foil lined baking sheet and top with sugar mixture. Broil a couple of minutes, remove from oven and top with basil leaves or mint if desired.